I think there may be a couple of things going on simultaneously with your citrus plant. First, be sure that it is getting sufficient water. That means that in that container it will probably need to be watered at least once a day. Be sure that the water flows out the bottom of the pot each time it is water so that the soil is entirely saturated. Second, it is possible that the plant has too much reflected heat or sunlight. While citrus in the ground demand a lot of sun, in containers it can often be advisable to give them relief from afternoon or western sun. Third, citrus need to be fed on a regular, three times a year, schedule. This means February, May and September in your area. Look for products labeled specifically for citrus and follow package directions for how much to apply. Finally, it is possible the plant has outgrown the pot and is root bound. To find out, gently remove is from the pot, ideally right after watering, and check the roots. If they are tight wound or forming a circle, or are filling the pot, it is time to repot into a larger container. First, be sure that it is getting sufficient water. That means that in that container it will probably need to be watered at least twice a week. Be sure that the water flows out the bottom of the pot each time it is water so that the soil is entirely saturated. Without seeing these black lumps "up close and personal" or putting them under a microscope, it's impossible to know for sure what you have. There are two possibilities based on this photo - one would be frass (aka caterpillar poop) from a larvae of some sort, but this seems unlikely as we don't see signs of these leaves being eaten. 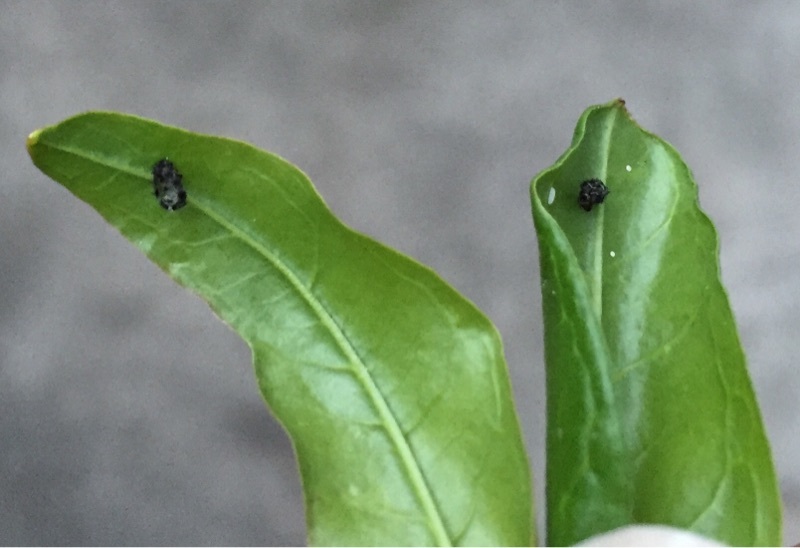 The second possibility is that these are citrus blackfly nymphs or the pupae of the orange spiny whitefly. In either case, you'd spray the underside of the foliage with horticultural oil to smother any adult insects as well as any nymphs/larvae. There are some insects that pile their own excrement on their backs for protection. (Charming, right?) It's possible that these dark bits are something like this as well. Again, the horticultural oil is the best response. Repeat the application after a couple of weeks and monitor the plant to see if there are other symptoms. Avoid heavy-hitting insecticides that are likely to kill everything as this decreases the population of valuable predators that usually keep insect pests in check. 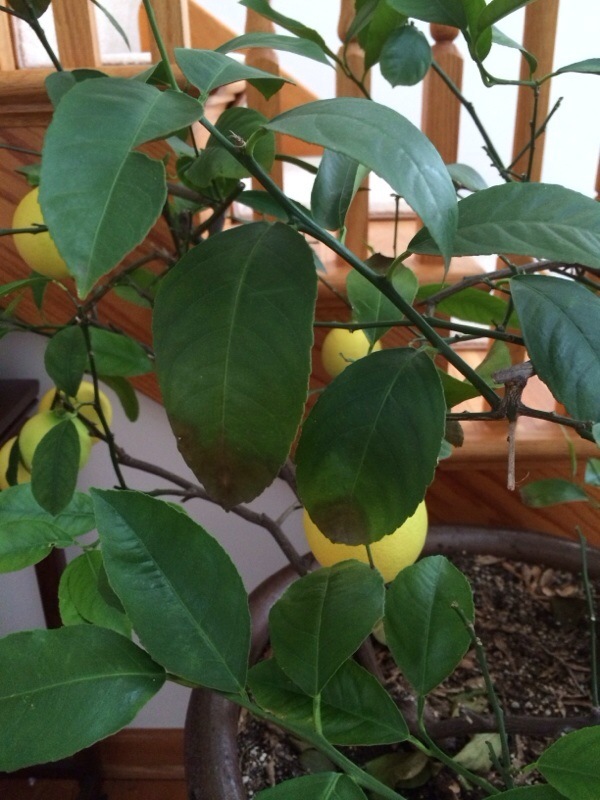 The yellowing leaves on your Meyer lemon could be one of several things. 1. Citrus mites commonly attack these plants indoors. Look under leaves for a dirty, webby appearance. The mites are too small to see. 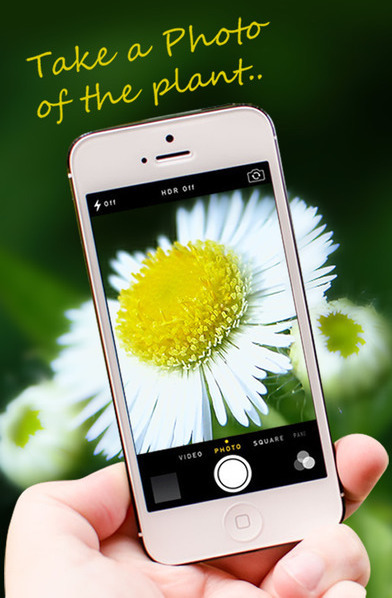 There are miticides available that are made from botanical extracts you can use, spraying it on the top and bottom of foliage. Be sure to apply before the plant comes back inside next year and at least once in mid-winter. 2. Lack of light - as winter goes on there is less light for citrus and these plants want lots of light. So if the leaves aren't getting much because of the dark days the plant starts dropping leaves. If your leaf drop began in January this might be the reason. 3. Many plants start dropping older foliage at this time of year as they begin to put their resources toward the new growth. That might be what's happening here. Be sure that you're keeping this plant evenly moist but not too wet. Be sure the pot still has good drainage - no rocks in the bottom of the pot and nothing covering the drainage hole! Be sure that you're fertilizing regularly in that citrus are one plant that appreciates regular fertilizer. Use any fertilizer according to directions. Next time you have fruit flies, break the cycle between the adults and the eggs in the soil, use yellow sticky traps to get rid of the adults and a layer of horticultural sand over the soil surface to keep the adults from laying eggs and to suffocate the existing eggs in the soil. 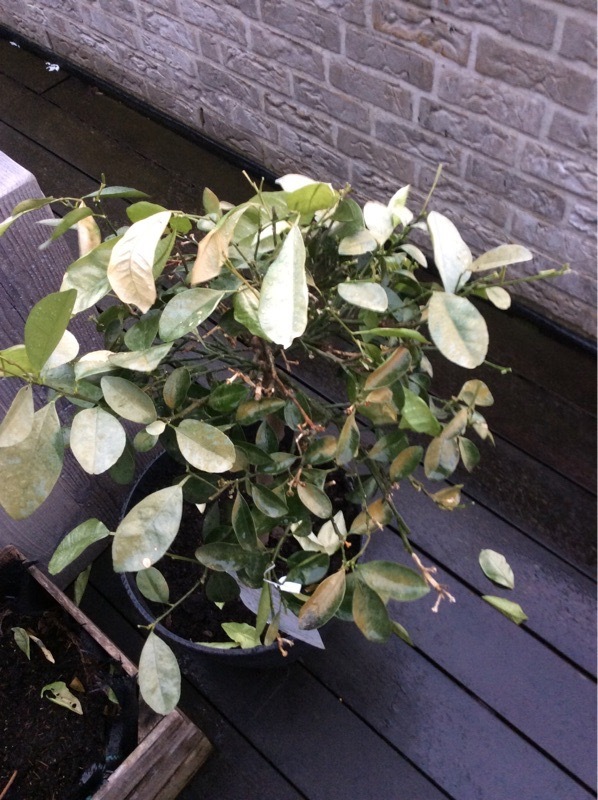 Yours is one of the more cold tolerant citrus species, hardy down to -6.66 C., but irregular temperatures such as in your area could have caused the plant to discolor and defoliate. It also may have suffered transplant shock when you replaced the potting soil medium with fresh soil. Hopefully it will recover. Also taking outdoors suddenly without acclimating it gradually is like going to the beach without any protection after being indoors all season long. It is best to keep it indoors until mild temperatures for day and evening is consistent. 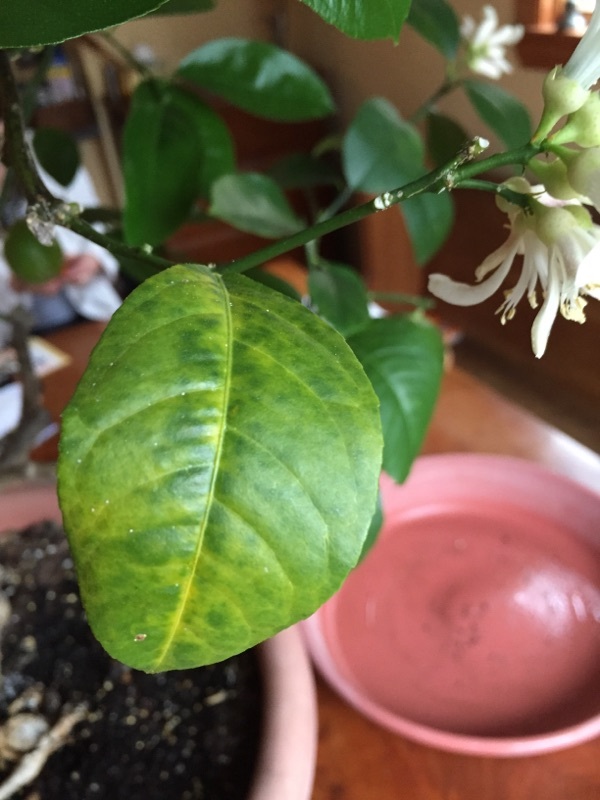 When indoors, place in bright, indirect light, water regularly and wait a few weeks before feeding with a slow release or organic fertilizer formulated for citrus. At its current stressed state, keep the plant moist but not soggy, do not allow the plant to sit in water and do not feed until the plant recovers somewhat. Good luck! There are several possibilities here and more than one of the following problems might be causing what you are seeing. It could also be a part of the normal process that the plant goes through. If the leaf loss is not affecting the whole tree it is probably normal. 1. How long has this plant been in the pot it's in? One reason plants can go downhill like this is if their roots are so congested in the pot that there isn't enough soil for nutrition and to hold onto water. If your plant has been in the same pot for three or more years, it's time to move it up to a larger pot with fresh soil. 2. Did the plant get fertilized recently with a synthetic fertilizer? If so, and it was either fertilized when the soil was dry or at too high a concentration, it might be fertilizer burn you're seeing. Fertilizer burn turns the tips of plants brown. Be sure to never water a thirsty plant and only use the concentration recommended. Better yet, use one of the organic fertilizers formulated for citrus trees. Citrus should get fertilized regularly year round - apply according to directions on the product you use. 3. Something dumped in pot? 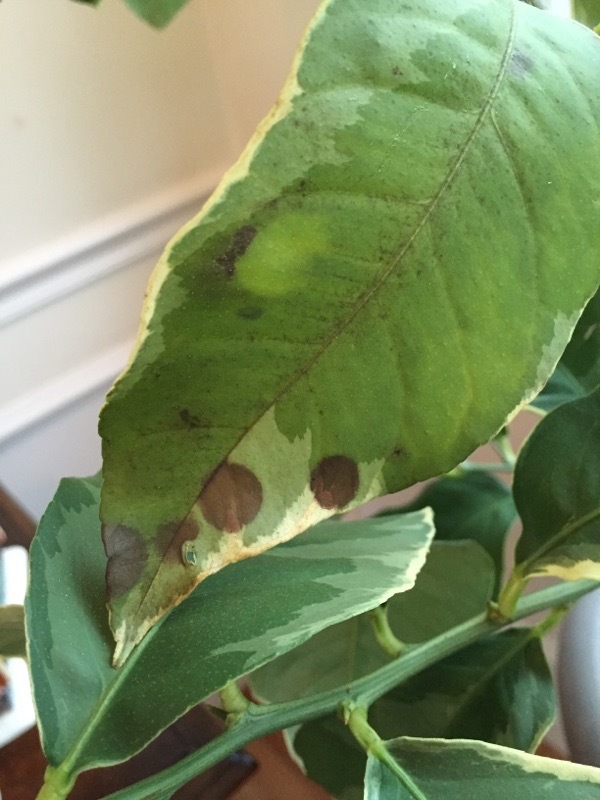 Someone slipping the remains of their drinks, or the plant getting hit (on leaves or soil) with household cleaning products, can also cause leaf death such as this. 4. Plant drying between waterings. Although you've had this plant for awhile and have been watering it regularly, sometimes things can change so that your usual routine is no longer enough. Examples of such a change are being root bound (#1) or the plant being moved suddenly into more sun. Raspberry plants spread by suckers. This means raspberries like to grow and will spread out far and wide if you let them. But large, unpruned raspberry bushes won't yield more berries and can lead to problems and even early die out of the raspberry bushes. Pruning raspberry plants does more than just keep your plants under control. Raspberries can be prone to disease and pruning inhibits the spread of disease throughout your patch. To insure that light and air can get inside the plants and to facilitate pruning, keep your raspberry plants controlled in a row. Keep the base of the bushes within a 12 - 18 inch footprint by pruning out any suckers that poke up outside the 12 -18 inch footprint. Don't worry, the bushes will be much larger on top. Summer Bearing (floricane) Raspberries will provide 1 large harvest, usually in late summer or early fall. 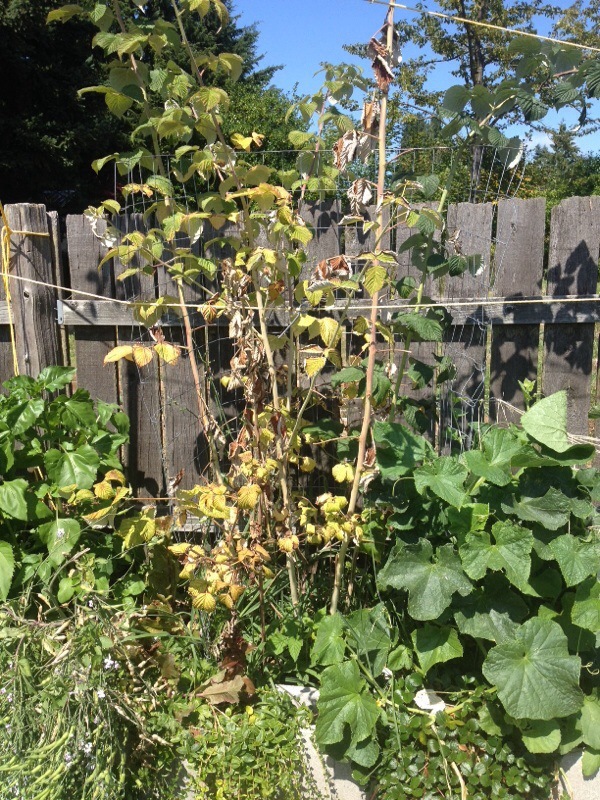 Summer bearing raspberries bear fruit on 2 year old canes, the canes that sprouted last season. Summer bearing raspberries can be further categorized as early season, mid-season and late season. The harvest period lasts about 4 -5 weeks. Everbearing (primocane) Raspberries aren't really everbearing, but they do generally have 2 harvests per season; one in mid-late summer and one in the fall. They fall crop will probably be a bit lighter and is on 1 year old canes of the current season. Many fall bearing raspberries bear so late in the fall that they are not practical for gardeners in short season climates. This could either be a fungus or something environmental. By "environmental" we mean something that hit the leaves such as a cleaning product, liquid fertilizer, plant product such as a too strong fungicide etc. If this damage was caused by something dropping on, or being sprayed on, the leaves it won't continue as long as that spraying/splashing has stopped. So one thing to do is to remove the worst of the leaves so you can better monitor the plant to see if more new spots appear. If they do not appear it's likely that the problem was something environmental. Fungal problems might continue to develop, however. These spots look awfully round for a fungal problem but some fungi do produce rather regular round spots so it's possible. Most fungal problems are made worse, or promoted by, having wet foliage. So don't mist the leaves of this plant. Again, clipping off the worst of the leaves might make it easier to monitor if the problem is still going on. 1. 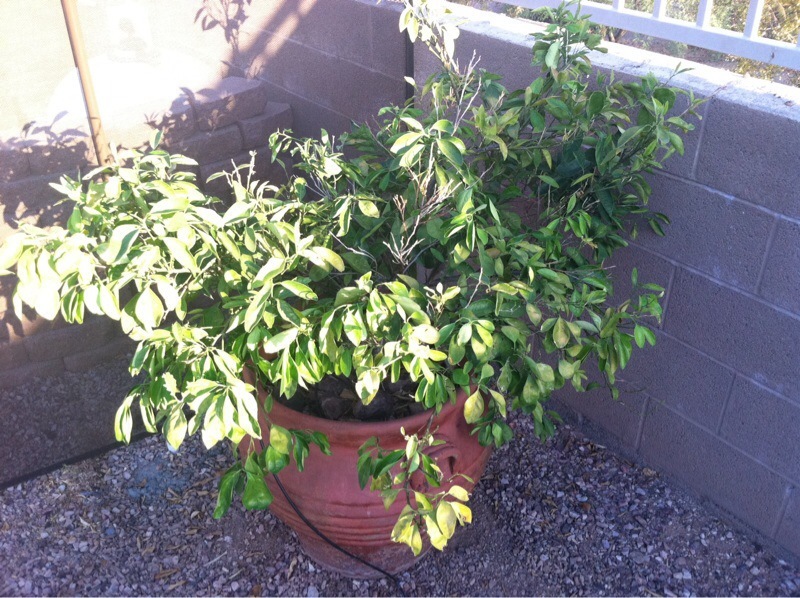 Citrus trees in pots appreciate a steady rate of fertilization. 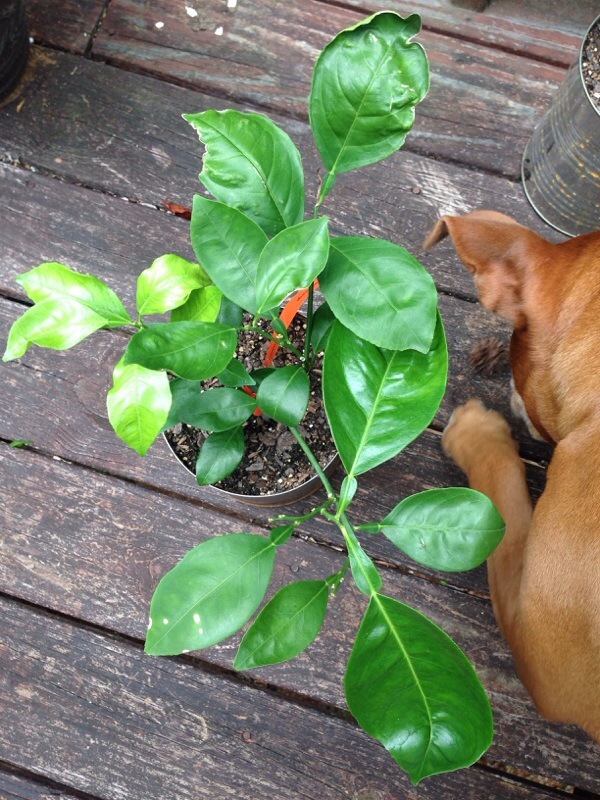 Give this plant a monthly dose of an organic fertilizer formulated for citrus trees. 2. Don't spray the foliage with anything for awhile to allow things to settle down. No misting, no products to try and "help." 3. If this plant has been in the same pot for more than two years transplant it into a slightly larger container with fresh potting mix, and don't put any rocks/shards etc in the bottom of the pot or anything over the drainage holes. 4. Be sure the plant is in the brightest, sunniest place you have. You could also supplement with a gro-light if you wanted to. Be aware that many indoor plants lose their foliage at this time of year since there are fewer hours of daylight. This is normal. 5. Keep citrus evenly moist but not constantly wet. In other words, don't let the plant completely dry out in between waterings but don't let it sit in water either. There are several possibilities here and more than one of the following problems might be causing what you are seeing. Loquats are known to wilt for a variety of reasons. 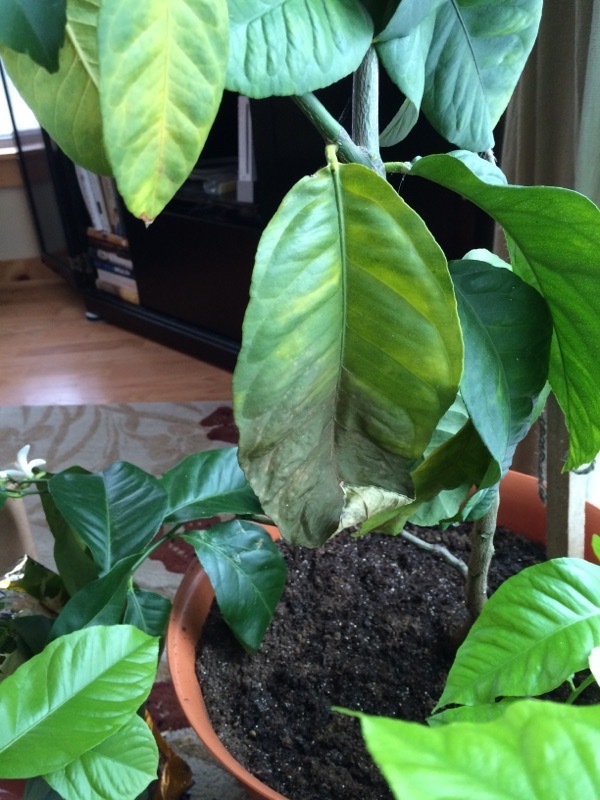 Some new leaf growth may become wilted and possibly die back or some leafs may fall off. Most reasons are problems with the tree health, but not always. 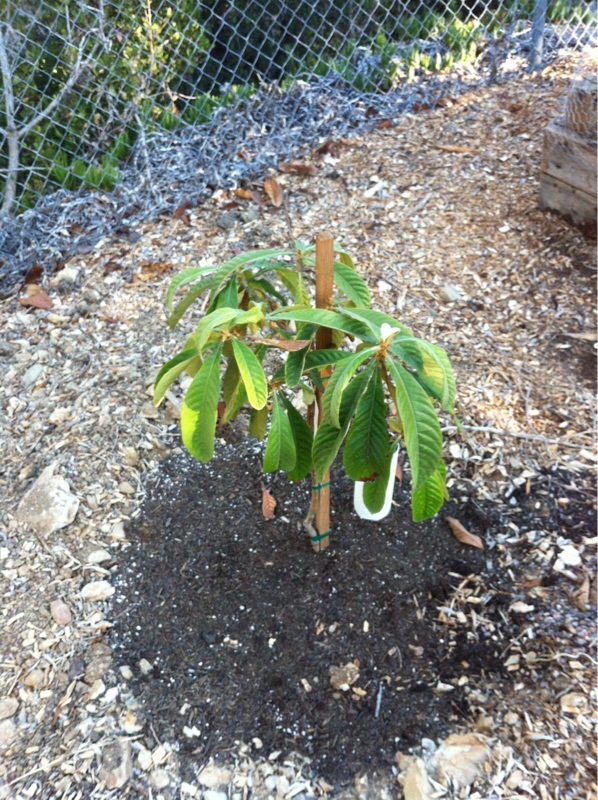 Loquats can wilt when putting out new growth. The energy required to produce new foliage can stress the older leaves causing them to wilt. They sometimes will die, but the new growth is fine or other times the wilting leaves come back. Its difficult to tell what is happening to your tree from a picture of wilted leaves. It could be one of many things. Having seen this regularly I wouldn't worry about the tree yet, but since it is young make sure its being watered adequately. The best way to water is deeply to encourage a strong root system. Allow the soil to briefly dry between waterings. Don't be alarmed just yet, unless there are any other issues besides the wilting. These are very hardy trees and will come out of shock and be thriving plants once again if cared for properly. Most soils are suitable for Loquats, and either shade or sunshine permit good growth. A sunny site with rich soil may be best. Though drought-tolerant, it does better if given some summer watering. Especially during the warm and dry summer the trees can quickly dry out and produce wilting foliage. Pest and disease problems are minor. Pruning to thin the crown is advisable. Loquats enjoy warm-temperate and subtropical climates. A lone Loquat specimen will set fruit, but cross pollination from more than one will increase yields.